This collection is a spooky delight that combines poetic prose pieces with flowing, evocative drawings to give an impression of those who participated in the Salem Witch Trials—not only as they were at the eighteenth century event, but as a parallel to the people and forces of our own time. Each section takes up a different participant, hunters and hunted, and gives a look into a soul. The interior monologues illustrate the conflicts that arise from flawed human nature and its greatly flawed institutions. 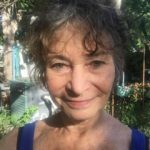 Linda Lerner is a well-known New York City poet who has more than a dozen collections to her credit; Donna Joy Kerness is a former New York artist and dancer who has relocated to Texas. 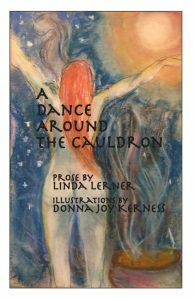 She has illustrated others of Lerner’s books. The characters are both the participants in history and the lasting forces in society that combine to destroy its fabric. Sometimes they become particular individuals in present times, or else they turn into recognizable types that have been around for hundreds of years. Participants represent a spectrum of humanity with various hopes and fears, prejudices and secrets. Their preoccupations are indicated in the segments which range from a couple of sentences to a full page in length. Back then they called in an authority to look for signs of witchcraft. I knew it would make this worse, as it always does when the lawyers and politicians start arguing about proof, and getting scared for their jobs if they use their own minds. That child, who wouldn’t get up back then, I knew would get up when she’s bored or ready. Trouble comes when the adults start taking every accusation seriously. References to the social media, to the last Presidential election, to current events that mirror the New England scene keep reminding the reader that, as William Faulkner said, “The past is never dead. It’s not even past.” Highly specific events of the trials are given current parallels. Tituba was a slave from Barbados who was one of the first to be accused of witchcraft, after she had participated in a folk or voodoo healing; clearly racism was the basis of her accusation, but she confessed to avoid being hanged. Not much is known about what happened to her after the trial. The drawings give a sense of the strangeness and alienation that were characteristic of these trials. I keep returning to these sketches—the wooden cradle with the distorted child figure carved on the bottom, the woman who seems to have grown into the forest, the three bonneted whisperers and the fourth woman, turned aside. You might find it useful if your knowledge of the trials is foggy (as mine was) to look up the people and events Lerner describes. Most readers will do this anyway, wanting to know exactly what part each of these intriguing characters played in the actual event. But the Google search is not really necessary, as each individual defines himself or herself and suggests what role he or she plays in the past and present.. The dreamy, elusive drawings combined with the lyrical prose make of the Salem witch trials a timeless fairy tale—and like all fairy tales, it is of course quite true. Illustrations by Donna Joy Kerness. San Pedro, CA: Lummox Press, 2017. ISBN: 978-0-9984580-3-8. 30 pp. $12. Janet McCann is an old Texas poet who taught at Texas A&M University for 46 years. 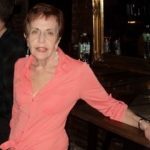 Her most recent book: The Crone at the Casino, Lamar University Press, 2014.